Nigel is busy with the planning for this event and has booked us into Devon Valley Holiday Village which is in Shaldon, South Devon. The format will be the same as the last 2 years with 3 nights and a run out on the Saturday, which will be to Slapton Sands. The cost will be £190 per person to include dinner, bed & breakfast and the 'Show' on the Saturday evening. A deposit of £20 pp is required before the end of October, so if you would like to take part and have not let Nigel know (01789 841 656), then now is the time to get your deposit to him. More than 70 years have passed since the American Combat Troops used Slapton Sands and the neighbouring countryside for full scale rehearsal exercises in preparation for the D-Day landings in Normandy, France, which eventually led to the collapse of Hitlers Germany and peace in Europe. This area of coast and land was selected as one of a series of training grounds which, in this case was used because it so closely resembled the landing beach, code named UTAH BEACH, situated on the Cherbourg peninsular. The American Forces stationed in Devon and Cornwall were known as U Force, and were part of a much larger invading force which landed in France at five points on 6th June 1944. The area consisting of Strete to Torcross and back as far off as Blackawton to East Allington was completely evacuated with the villages of Slapton, Sherford, Stokenham and Chillington to make accommodation for American and Allied troops. American Troops with Equipment and Supplies were also stationed at nearby Salcombe, Dartmouth and Brixham. 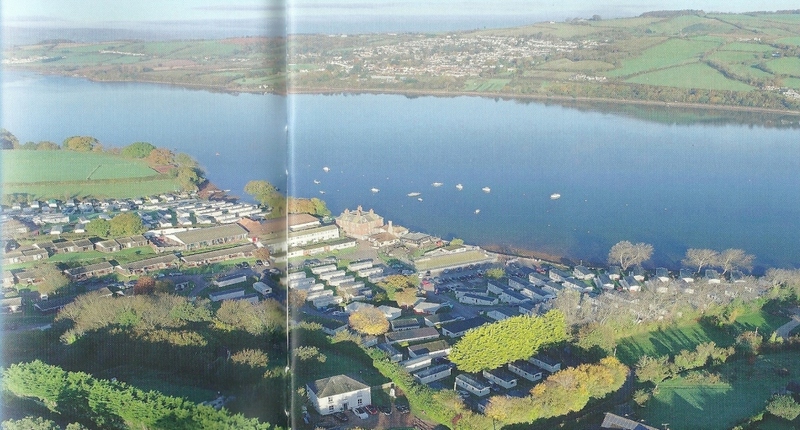 Slapton Sands and its immediate land area played a very important part in this enterprise. Many people still recall the evacuation of all its inhabitants and livestock from many farms, villages and homesteads and the appearance of US troops engaged in exercises in which many casualties occurred. This brief episode in the South Hams has not been forgotten and visiting Americans to the area still show a continuing interest in this event. 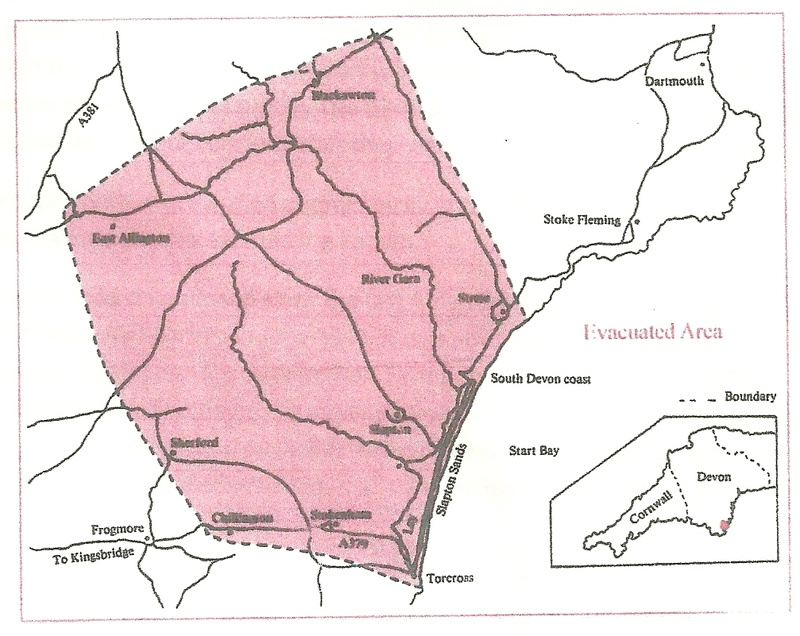 A notice of requisition was passed to the Devon County Council under the Defence Regulations Act of 1939 specifying that a certain area of the South Hams was to be fully evacuated of civilians and livestock by the 20th December 1943. Giving six weeks notice for the moving of 3000 people from Farms, Villages Shops (etc). Some 30,000 acres would have to be cleared to allow Troops to move in and set up camps and defence points and ringing the area with Guards. Nothing was to be left apart from empty buildings and churches. The very large Operation required a large number of landing craft designed for Infantry holding 200 men and Tanks taking Vehicles right up to the beach. The first rehearsal was very successful and lessons learned and applied for the real Invasion. Several rehearsals were carried out. However one incident marred these events - two German E-Boat flotillas totalling Nine boats managed to get past the defending Ships (last minute changes caused a weakness in the security) They had stumbled on the exercise taking place during the hours of darkness. Two landing craft full of Troops were sunk and one damaged resulting in the deaths of about 700 men. (more than were killed on Utah Beach during the actual invasion) It is recorded the loss of these landing craft was critical to Operation Overlord as these craft were already in short supply. The Germans realised they had sunk landing craft but fortunately did not conclude that they were part of a huge Military exercise. The Troops bodies were buried anonymously in the fields at the back of Slapton Ley. No markers or whereabouts are known. Many years have now passed since the last American Troops left this part of Devon for the Normandy beaches in June 1944. It was not until the late Autumn of that year people started moving back to their Farms and Homes. Some found their properties still intact while others were grieved to find considerable damage to both buildings, walls, hedges and outbuildings. Compensation for damage was given. The area had still to be cleared of mines, shells and Military debris, by the end of the year a start had been made on Farming the land again. 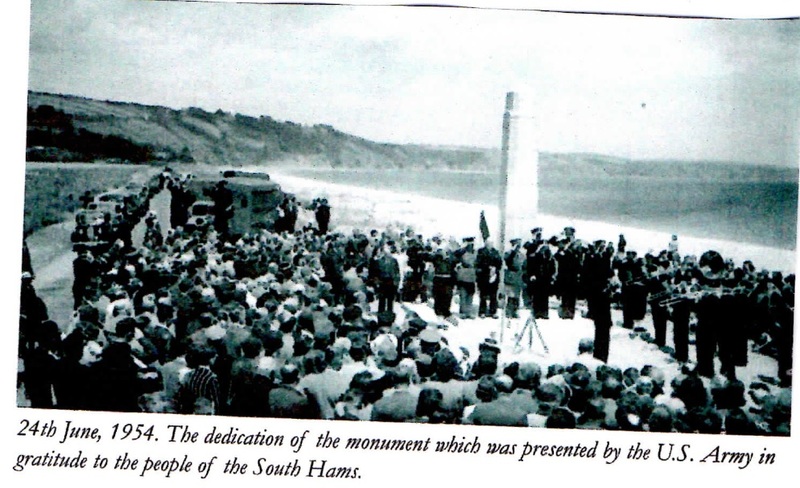 A Granite Obelisk now stands on the beach midway between Strete and Torcross which commemorates this episode in the life of the South Hams and the sacrifices made by the local people. It was unveiled on 24th July 1954 and was presented by the U.S.A. In spite of all the damage created in this area, hardly any scars remain from this period. Divers still report finding Shells, Vehicles and other Military equipment in the sea close to the shore. The Pubs the Normandy Inn at Blackawton and the Queens at Slapton village contain Photographs and some Military relics from this period. 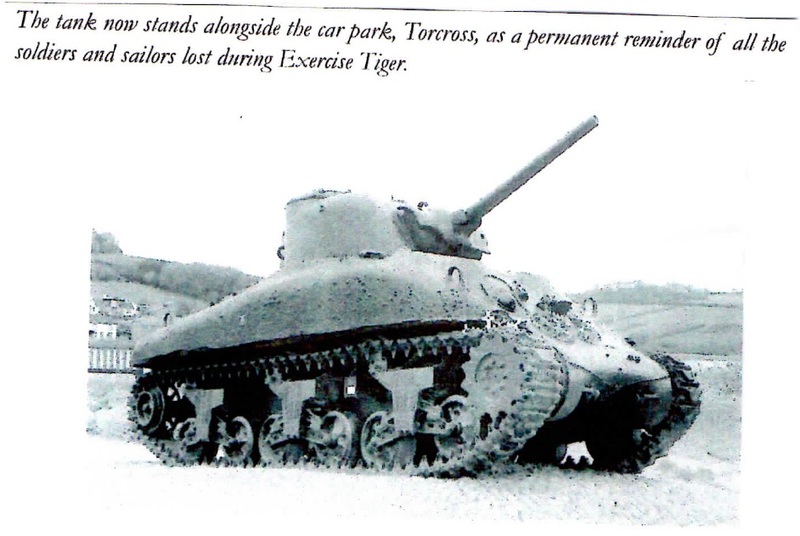 In conclusion, in the 1970,s a local Hotelier Ken Small was an avid beachcomber along Slapton Sands, heard of an object lying on the sea bed about 3/4 mile out to sea in 60ft of water and was confirmed as an American Sherman Tank, lost during Excercise Tiger. 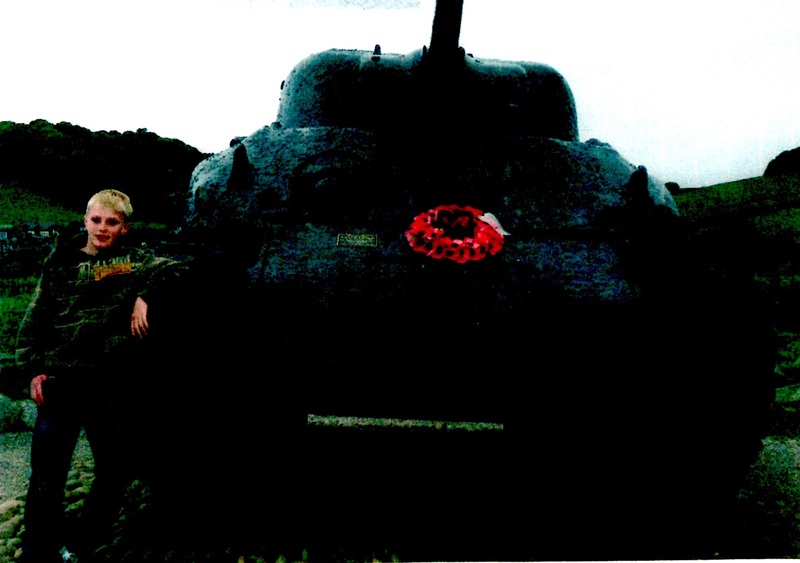 Ken was obsessed with the idea of raising the Tank from the sea bed and bringing it ashore. He overcame the Red Tape and Bureaucracy he encountered over Ten years. His dream was to have it raised before the Fortieth Anniversary of the D-Day landings. His efforts were rewarded when he finally managed with much help to have it winched ashore. 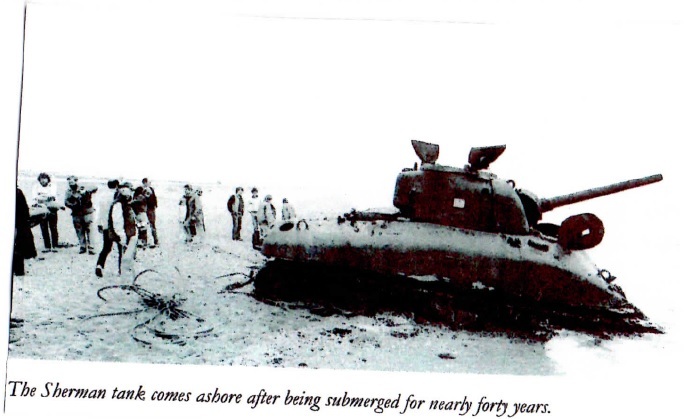 As the Tank Tracks hit the shore and solid ground they immediately started to turn after 40 yrs on the sea bed. It was towed to the parking area in Torcross and Today still stands proudly as a Testament to the memory of all those Soldiers and Sailors who lost their lives on that night on 28th April 1944. A footnote: I would like to add, on my way home from conducting business in Chillington in 1984, I chanced upon a crowd of people on the beach at Torcross. I parked up to investigate and met the scene I have just described above.